Holidays In Hollister: Shop Amongst Blenheims and Bells! The cozy pine smell of Christmas, warm apricot cider and tea, holiday shopping made easy...we're bringing it all to you right here on the farm! Join us the first three Saturdays in December to shop with the very best boutiques, vendors, and shops of Hollister. 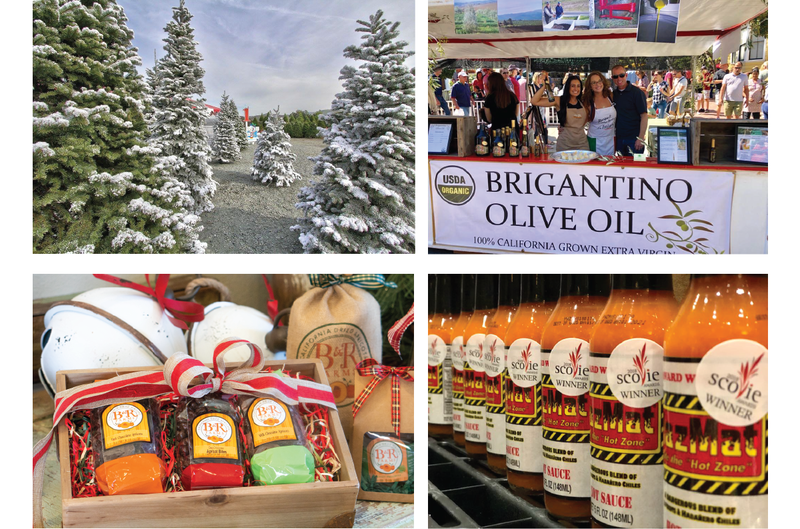 Vendors include Bourdet's Christmas Trees, Brigantino Olive Oil, Hazmat Hot Sauce, Hollister Soap House, Riley's Succulents, Market Obsessions Wood Crafts, and Big Bro BBQ. Plus find wreaths, quilts, coasters, and other decor, a children's book signing, and a Santa photo booth! And of course gift baskets and boxes filled with B & R Farms Blenheim apricot goodies. Plus 10% of all proceeds go to to community non-profits! Skip the crowded malls and enjoy a festive and relaxing holiday shopping experience! Complimentary bags and cards available so you can simply be done and relax when head home. See more on our Facebook Events Page.